Anyone paying attention to r&b or hip-hop has to know the name Kehlani. She’s had chart successes to a certain extent but most know her for her more recent, hip-hop focused album SweetSexySavage, Distraction and Undercover being the more popular tracks. But I want to draw more attention to her 2015 EP titled You Should Be Here. While I liked SweetSexySavage to a degree, I can say that You Should Be Here will remain on my favorite album list for a very long time. Kehlani has the vocal prowess and warm, fun energy of Ariana Grande with the creativity, moodiness, and relatability of SZA, and I think this speaks so clearly on You Should Be Here. Her vocals feel absolutely effortless and clean to listen to, almost impossibly so, and the beats to back them up aren’t overly complicated, producing this collection of songs that’s just for lack of a better word, nice to listen to. 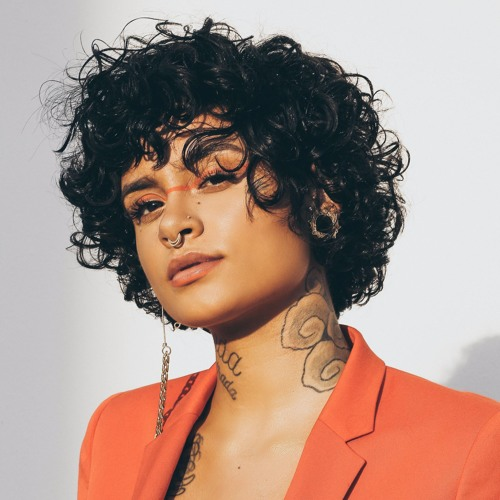 Kehlani isn’t just a technically brilliant artist either, her lyricism so clearly reflects her own ethos in each and every song on “You Should Be HereÛ. In the beginning of the EP she is very doubtful, while questioning her love and her lover. In “Jealous” and “N****s” she delves into deeper issues in her relationships and her own insecurities. “The Letter” is one of my absolute favorite songs on the album. The simple raw emotion is so powerful in “The Letter” and it voices a lot of the insecurities that I think a lot of people – especially women have. Eventually she finds acceptance and empowerment in the songs toward the end. “Be AlrightÛ, “BrightÛ, and “Alive” are songs that always make me feel good. She branches into finding confidence in herself and uplifting the spirit of the listener which I feel like is something that has really been lost in music today. Listening to “Alive” on a rainy day, makes my soul feel a little less heavy. I find this comfort in a lot of songs toward the end of the album, and I now find that I seek that comfort out in r&b albums but seldom find it from anyone but Kehlani. Something about this album really resonates with me. The way Kehlani shares really personal narratives is what music is about to me, it’s what I love in artists like SZA, Kendrick Lamar, and Solange and there’s no reason that Kehlani shouldn’t one day have as much mainstream success.